Ambrosia and Iron: City or country? 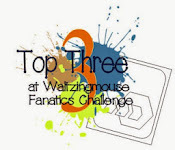 It's Friday so it must be challenge day over at Daring Cardmakers. Miri is setting this week's challenge and she'd like to know: city or country? Which are you? I'm very definitely a country girl. I have done city living (Manchester being the biggest) but I'm now firmly back in a rural location. As well as the obvious trees, fields, wildlife, birds etc, one of the things I love about where we live is the dark skies. Northumberland International Dark Sky Park has gold tier status from the International Dark Sky Association, making us "officially the best place in England for people to go to enjoy the heavens" according to the Northumblerand National Park website. 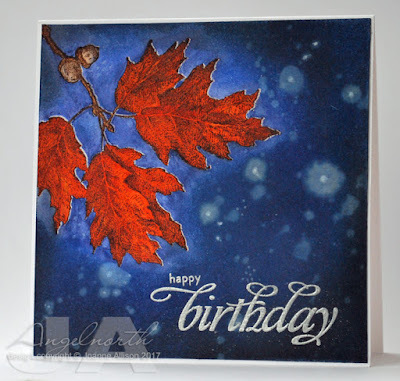 So I wanted my card to reflect something of the night sky we enjoy in the country, hence the dark background and the splatters of "starry" light behind the glowing autumn oak leaves. I did the thing of overstamping the coloured image with Versamark and clear embossing to resist the watercolour - I gave it the tiniest of offsets to get moolight glints along the top edges of the leaves. A MISTI makes this easy to do! I actually broke out the iron and ironed off the clear embossing once I'd done with the rest of the card. 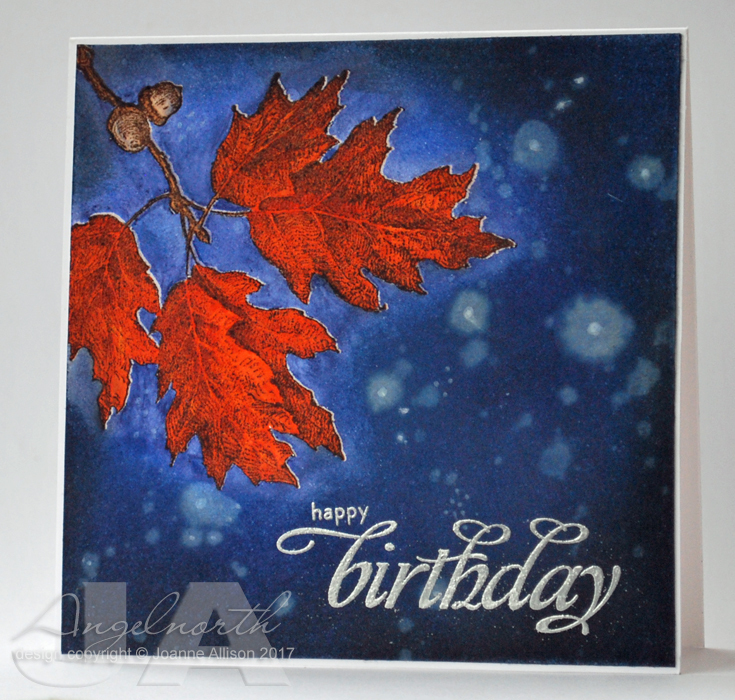 Beautiful colouring - the strong contrast of colour of the leaves against that background makes a real visual impact. WOW, a stunning creation. The background is amazing and the leaves just look stunning. Your card is beautiful! Thank you, country girl. And it's such a great idea to feature a dark starry sky in the countryside.